What will happen to our money? What will happen to our house? What will happen to our kids? You need Best Tulsa Divorce Attorney to help you out. At Baysinger Henson Reimer & Cresswell PLLC "Tulsa divorce lawyer ", with offices in Owasso and Tulsa, Oklahoma, we help our clients answer these and other questions while improving their lives. If divorcing spouses are willing to resolve conflicts concerning property division, child custody, child visitation, child support and spousal support out of court, they can eliminate much of the expense, time and cost of a court trial, while retaining control of the terms that are decided. As long as a divorce settlement does not violate any laws and is considered beneficial to any children involved, it is likely to be approved by a judge after a brief court hearing. If negotiation is not possible, however, divorcing spouses may seek a mediated solution. Instead of negotiating directly with each other, the parties present their concerns to an impartial mediator who considers each party’s circumstances. Based on the testimony of the spouses and their attorneys, the mediator may suggest settlement terms. The parties may agree to these terms, reject them, or use them as a basis for future negotiations. Oklahoma divorce courts usually require divorcing parties to enter mediation before they will hear a divorce case. Another option is for the spouses and their attorneys to work together collaboratively. Our attorneys include both trained mediators and certified practitioners of collaborative law techniques. When divorcing parties are unable to reach consensus, they may take their dispute to court in a contested divorce. In a divorce trial, the spouses may argue for their desired outcomes, but ultimately a judge determines the terms under which the parties, and their children, will live. Our attorneys are experienced, effective and aggressive advocates for our clients in the courtroom. People’s lives change over time. When a divorced person’s financial and/or personal circumstances change significantly, he or she may seek a modification to an order for alimony, child custody or child support. Modifications can allow for increased or decreased financial support and amend how responsibilities toward children will be carried out. Our Tulsa divorce attorneys at Tulsa & Owasso have helped many clients achieve their goals through negotiation, mediation and trial. Meet with us, and we will discuss your circumstances with you thoroughly and help you to make an informed decision about which path your divorce should take. We will always zealously advocate for your interests. 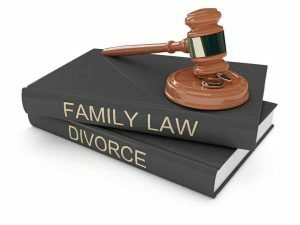 Our experienced Tulsa divorce attorneys at Tulsa and Owasso use legal tools including negotiation, mediation and litigation to help clients in the Tulsa metropolitan area to attain their goals concerning marital assets, child access and family support. Tulsa divorce lawyer is what you need. For more information, contact Baysinger Henson Reimer & Cresswell PLLC " Tulsa divorce lawyer at Tulsa & Owasso "online or by calling 918-274-4242. We can also assist you as tulsa divorce attorney free consultation.